Today I got a piece of Kona history. Arlene, one of my editors, is retiring and moving back to Alaska and in the process of cleaning out her house she gave me a folder full of Kona Torch newspapers (more like newsletters). 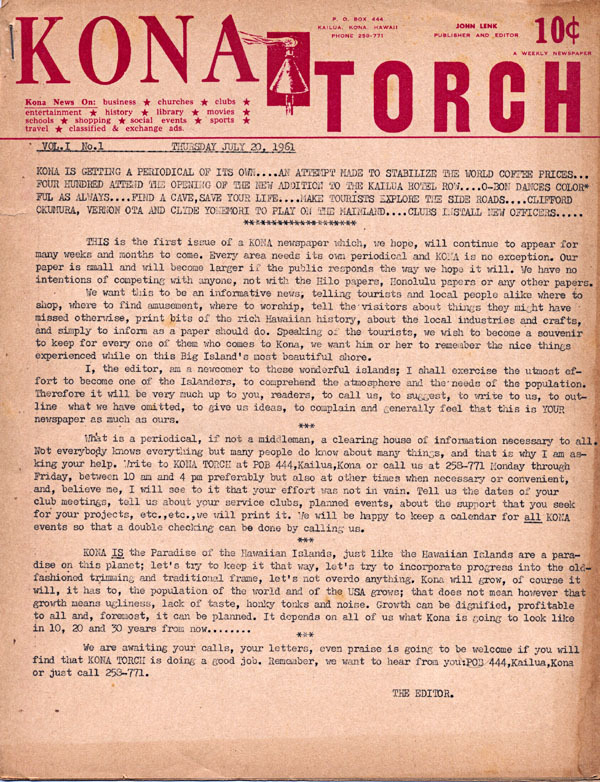 The Kona Torch may be the first newspaper in Kona. 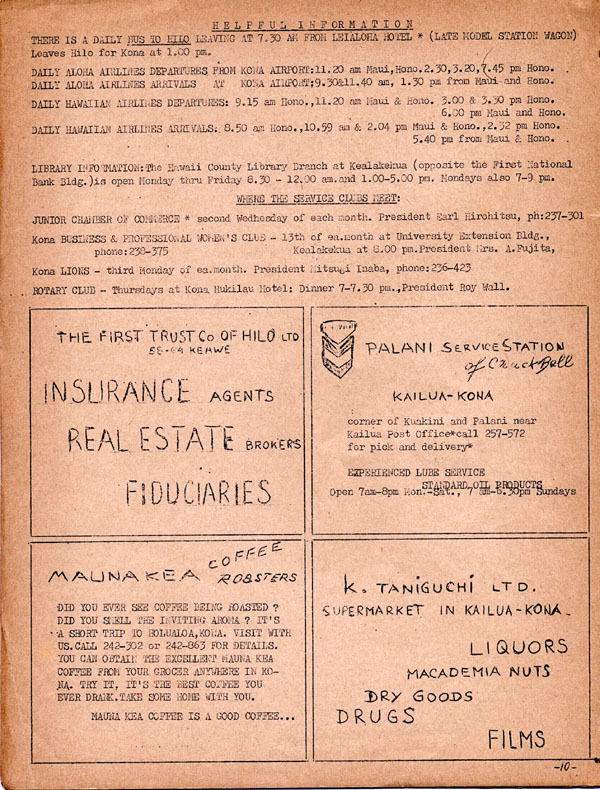 If you click on the image above you’ll see a larger version of the page for your reading pleasure, below is one of the inside pages. 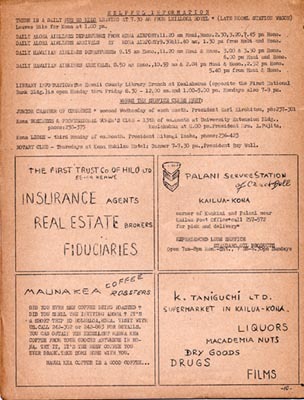 One of the inside pages of the premier issue of the Kona Torch, check out those ads and the six-digit telephone numbers. 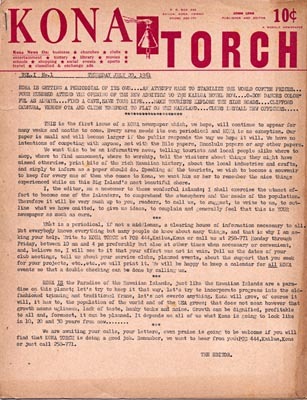 Click on the page image to enlarge. Quite a blast from the past. Not quite a picture of the day but it’ll have to do.